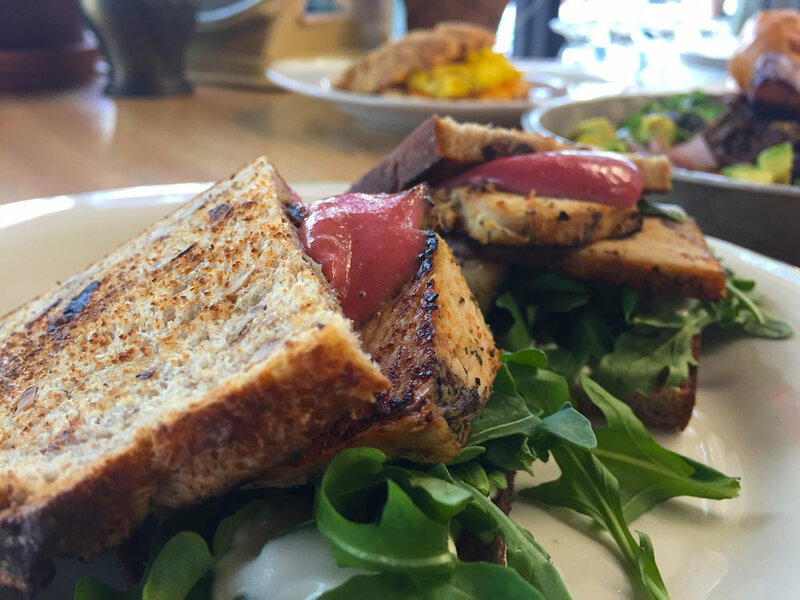 The Pharmacy Café is a modern take on an old-school lunch counter set in a refurbished, historic pharmacy building from 1910. Our breakfast menu focuses on freshly baked biscuits and English muffins stuffed with creative ingredient combinations. 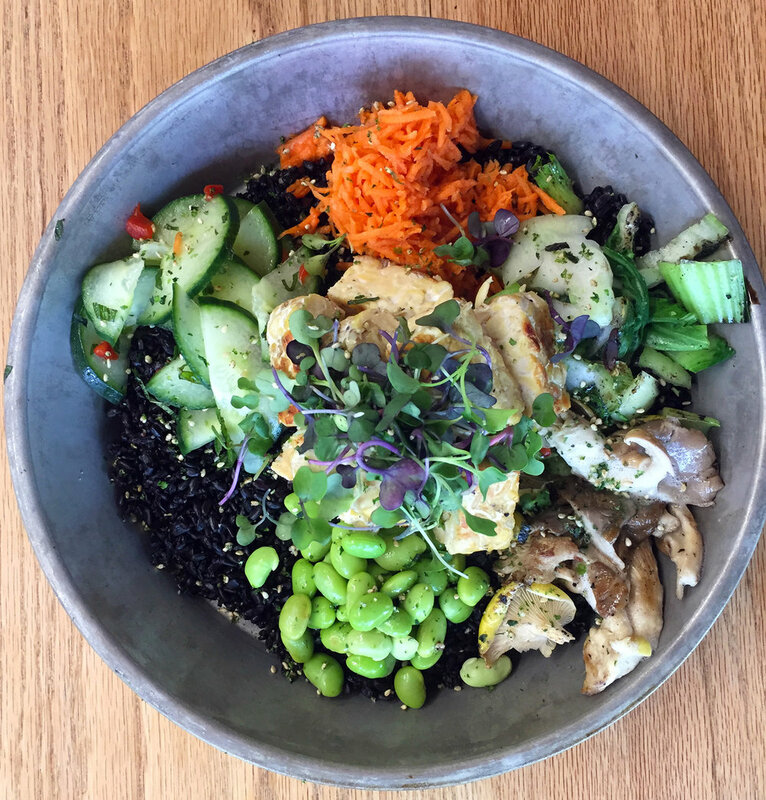 Lunch features classic and creative sandwiches and beautiful salad bowls. Round off your meal with one of our house made sodas, a classic malted milkshake, or an ice cream dessert! The space is warm, inviting, and an open-plan which accommodates up to 55 guests for private events. The centerpiece is our 16-foot community table that seats 20 guests with additional two tops and outdoor seating. 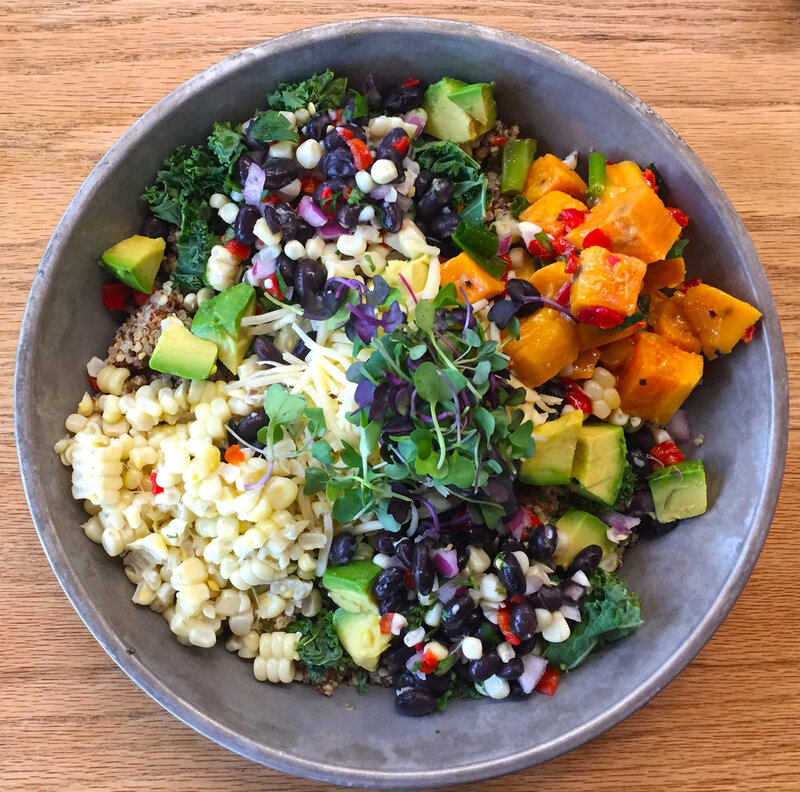 Gluten free ancient grains, roasted corn, sweet potato, kale, black bean tomato relish, avocado, queso frescho and a lime hemp seed vinaigrette. From the test kitchen. Ask what today's special is! Have your heard about our catering company? 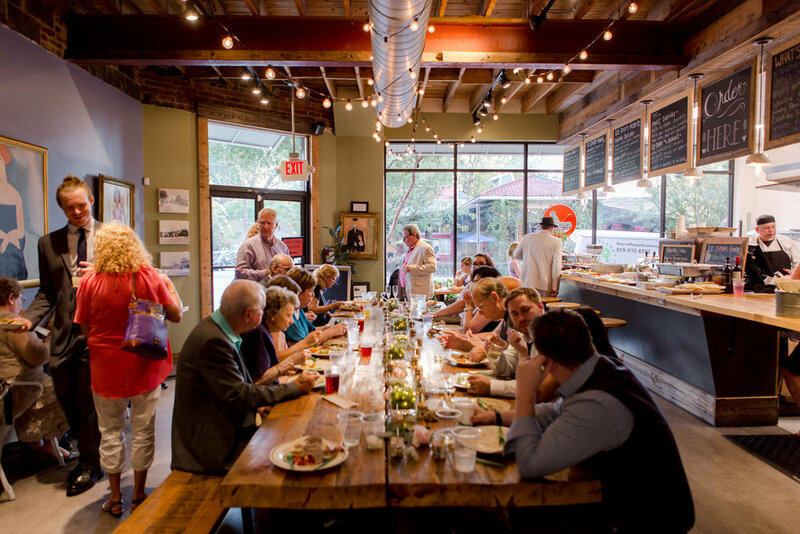 Green Planet Catering, which is owned and operated by the same team as The Pharmacy Cafe, has been handling every type of catering in The Triangle, from business meetings to destination weddings, for over 10 years. The first catering company ever certified as a B Corp, GPC has been winning awards for over a decade due to a range of creative sustainable solutions utilized at events. Taking the farm to table concept further requires inventive solutions like building farms with local universities, composting all the waste from events, running our delivery vehicles on biodiesel, and offering living wages to all employees. Learn more by visiting the Green Planet Website! FEES – For a three-hour event, with two staff members, the minimum cost is $700. You can apply the cost to food and alcohol. If you do not meet the $700 minimum the remaining amount is considered the “rental fee” for the space and does not include gratuity. For each additional hour of event, the rate goes up by $250. A Cleaning Deposit of $150 is required when booking the space. This will go towards your $700 total unless the venue is not cleaned up after by each customer according to our requirements. Depending on your event style and needs, we may require additional staffing to make sure the event is flawless. Each staff member is an additional $30/hr. Each menu we design is priced per person and the total headcount goes toward your $700 minimum expense. Alcohol – Guests are required to purchase alcohol from our venue. Beer and wine are available and priced based on brand/quality. All alcohol and non-alcoholic beverages go towards the minimum expense required. Clients can not bring in outside alcohol. Entertainment – Clients are allowed to have house music playing thru our SONOS system, a DJ, or a small live act. All entertainment must be booked thru the venue. We can provide a list of vendors to choose from. Requests for outside entertainment vendors will be considered based on factors determined by our management. Decor & Rentals – If a client requires rentals (china, linens, décor pieces, etc) it must go thru the venue manager. Our event planners are capable of assisting in planning your selections to help create the exact environment/décor you are hoping for.